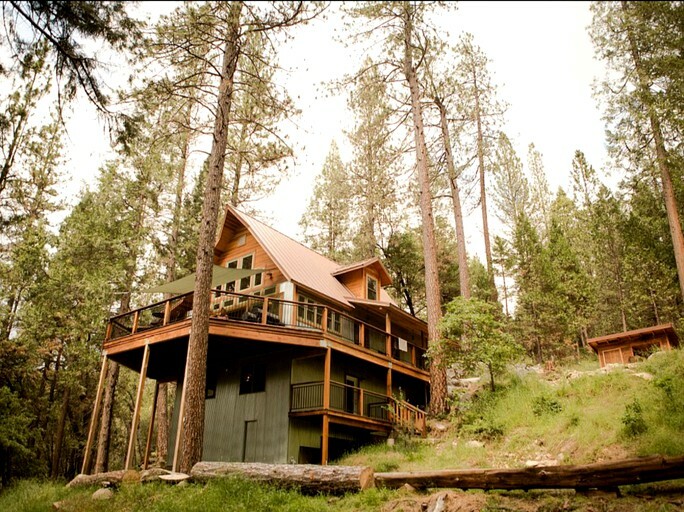 Amazing place to stay at! Makes you never want to leave. :) Perfect for a big family or even just for one. Very peaceful with a lovely scenery. 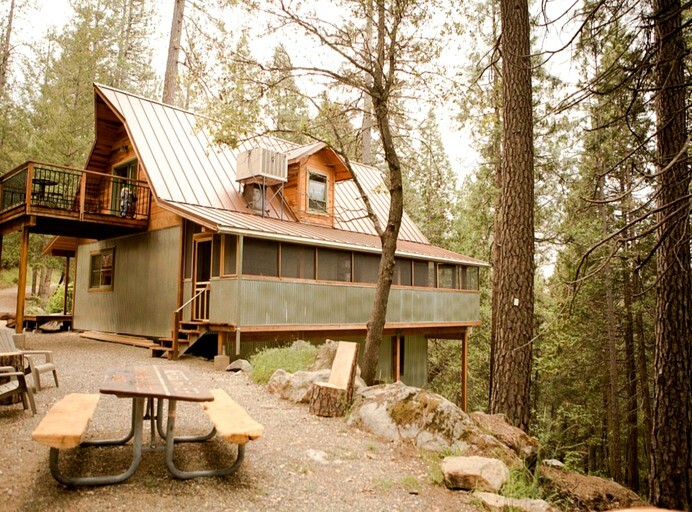 This gorgeous woodland cabin rental is located near Yosemite National Park in Mariposa, California, and can sleep up to six guests. 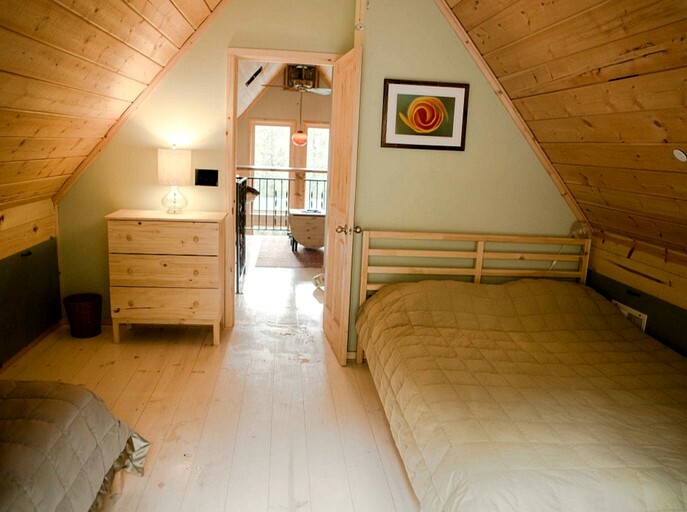 There are two bedrooms on different levels of the cabin, both with a queen-size bed and one with an additional single bed. 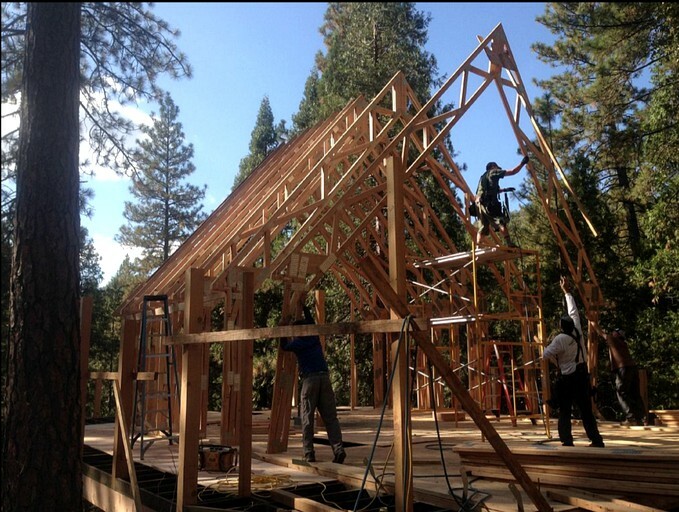 There are three pull-out couches in the cabin, one queen in the covered porch, another queen in the living room, and the last on the indoor balcony loft. 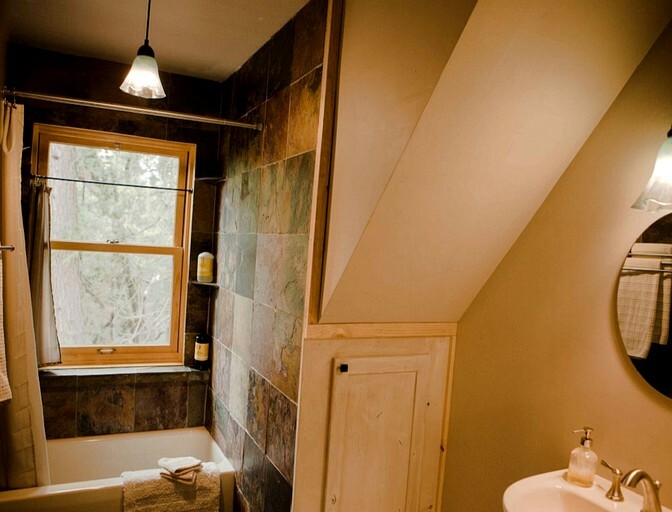 Guests will have two full bathrooms, one with a combined tub and shower and the other with a stylish walk in shower. 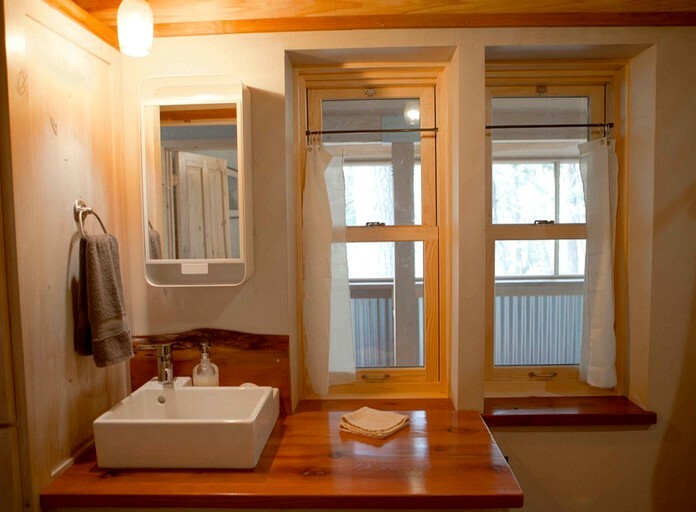 The hosts provide all towels and linens. 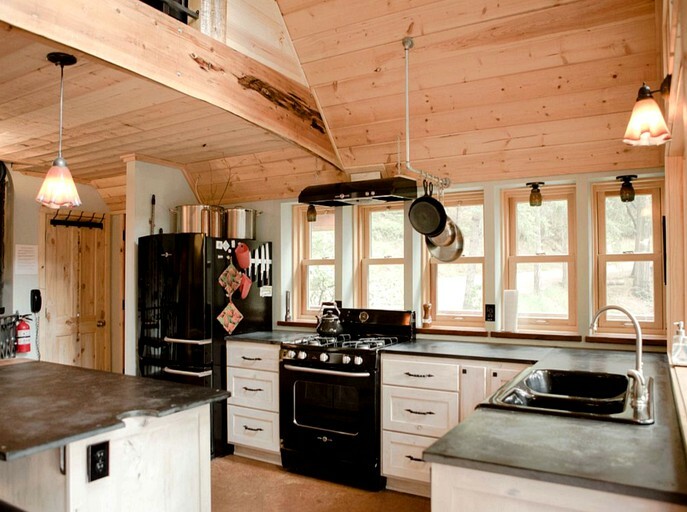 Throughout the cabin, there is a modern and clean white wood finish, giving the rental a sleek and appealing appearance. 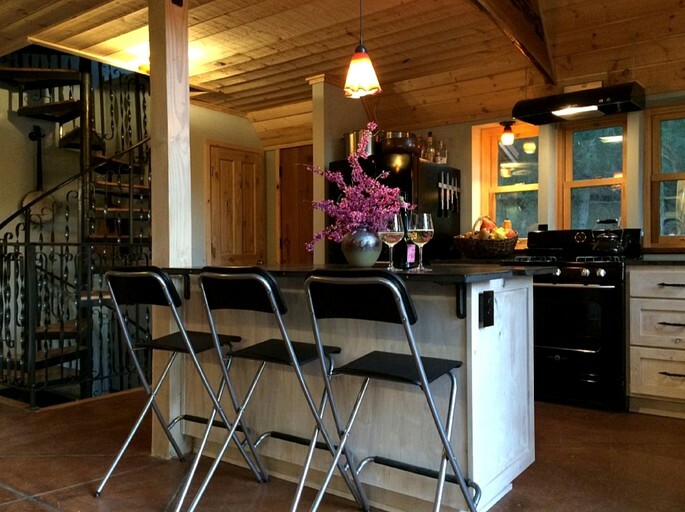 The middle level of the cabin has a fully equipped kitchen with an oven, stove, refrigerator, and a large breakfast bar island with stools. 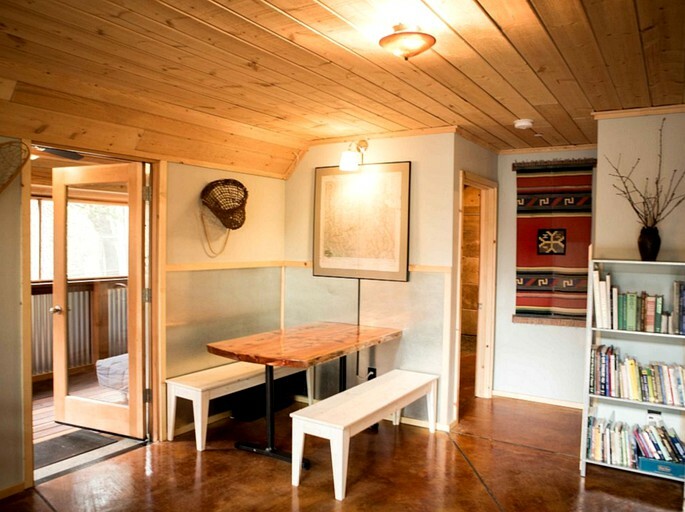 There is also an indoor picnic bench for additional seating. 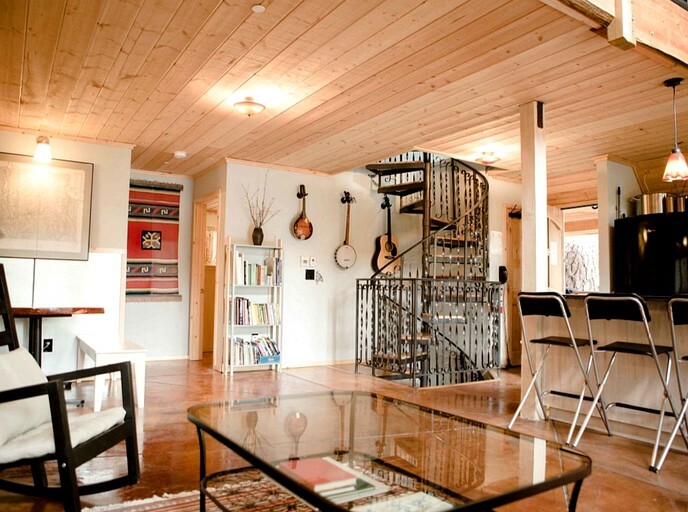 The levels of the cabin are connected by a handmade spiral staircase adding a unique feature to this already stunning rental. 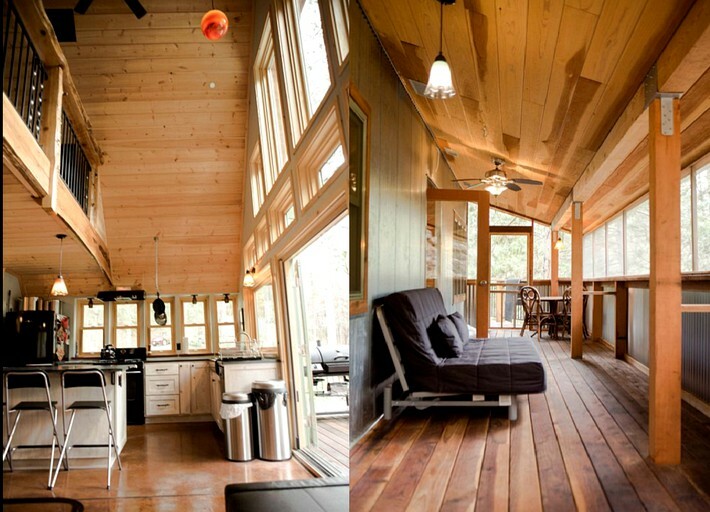 As the cabin in open and spacious, there are many areas for guests to relax and enjoy the peace of this nature getaway. 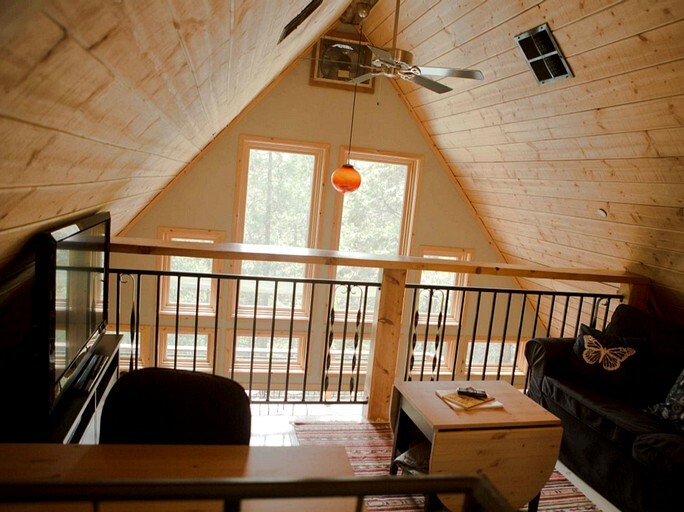 On the lower level of the cabin, there is a game room with a dart board and a pool table. 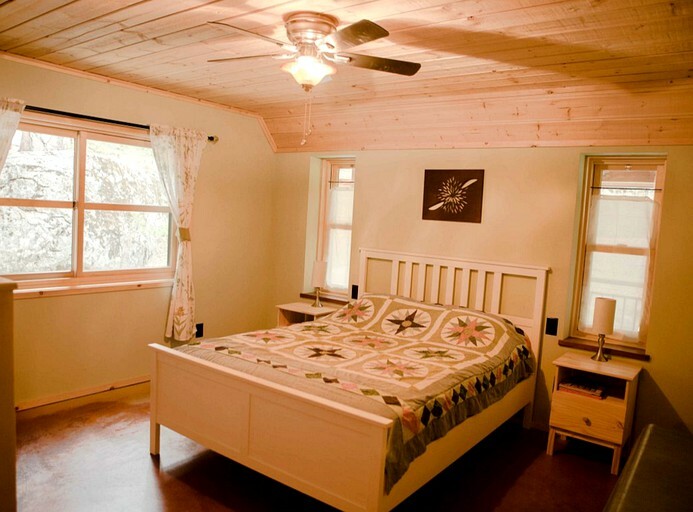 At this property, the host provides linens, towels, heating, and air conditioning. 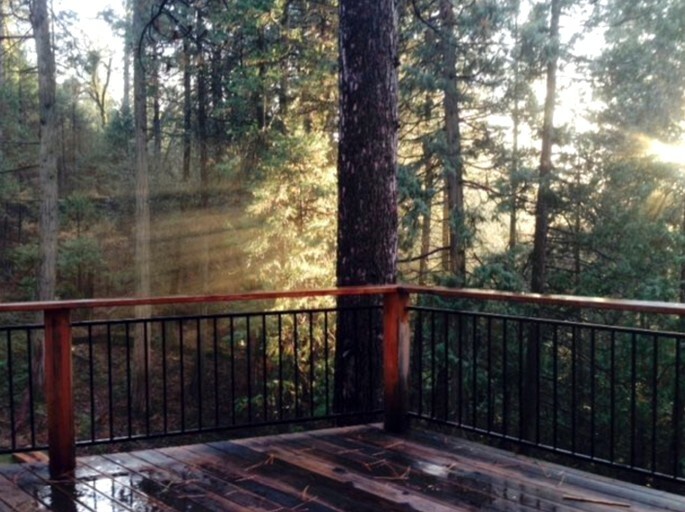 The property includes a deck, balcony, and an outdoor grill. Guests will find ATV rentals in the area. There are services for massage therapy in the local area. 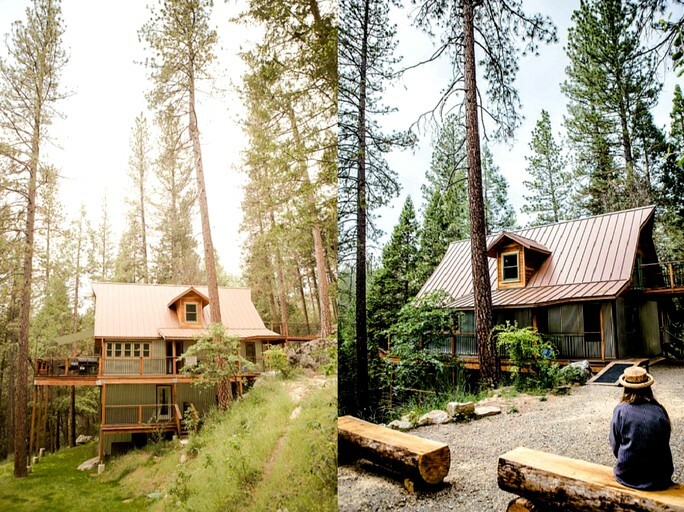 This property sits on the border of the Yosemite National Park 15 minutes from Midpines and 20 minutes from Mariposa and Mariposa Park. 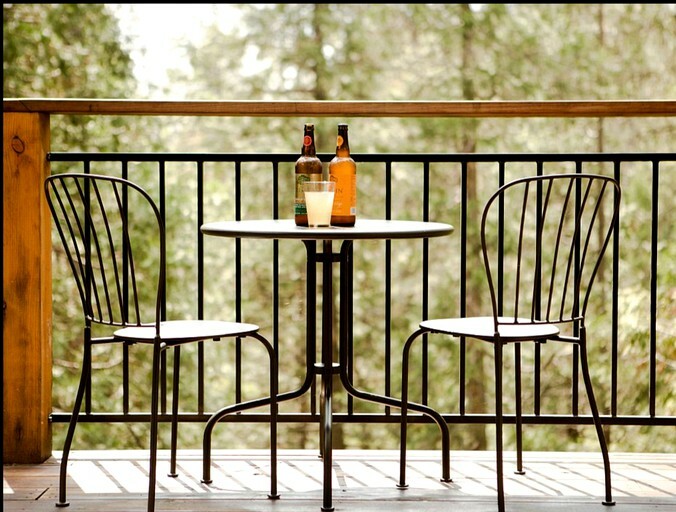 An hour into Yosemite National Park from the property guests can reach Yosemite Valley including incredible natural attractions such as the Sentinal Dome, Half Dome, and Yosemite Falls. The Merced River flows through the middle of Yosemite which guests can travel to in just over 30 minutes. 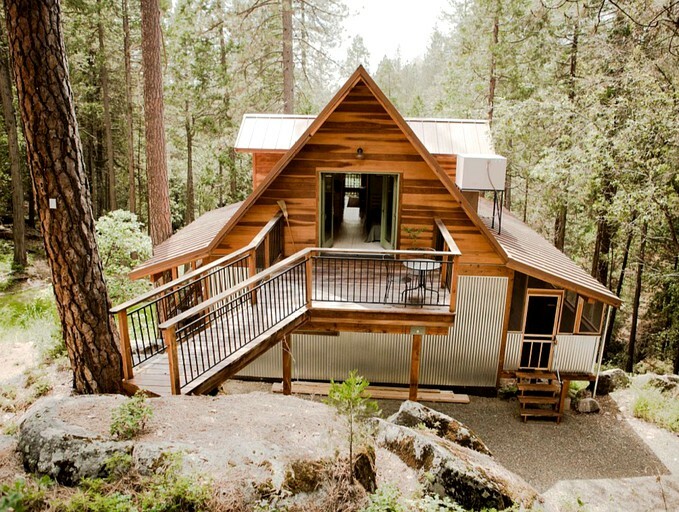 Glampers can visit Lake McClure and Bass Lake both an hour away. 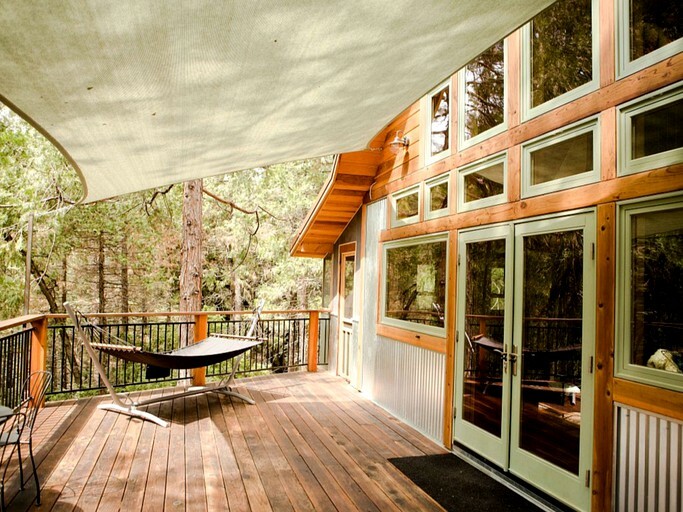 Nature getaways do not get much better than this for access to outdoor activities. Yosemite National Park offers some of the best hiking adventures one could wish for, with impressive vistas from destinations such as the Sentinel Dome, to make for a memorable vacation. Along the way, guests will be stunned by the Yosemite Falls, a truly breathtaking spectacle. 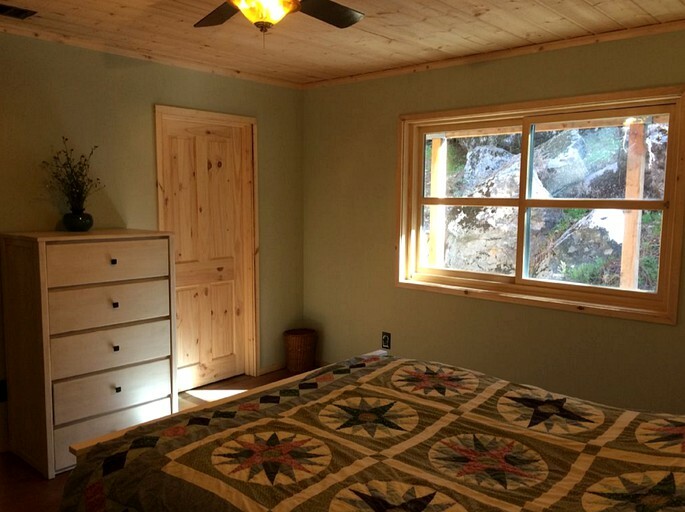 The property's setting is great for rock climbing and mountain biking on extreme terrain. The trails in the National Park also give glampers the option of horseback riding. The lakes and rivers support a range of water activities from kayaking to white water rafting. Glampers can go fishing at many of the water locations in the area. Guests here can also enjoy paragliding and parasailing in the area. The winter months are ideal for heading to the slopes for skiing, snowboarding, snowmobiling, and much more snow fun. Children are welcome at the property. This is a non-smoking property, and pets are not welcome. 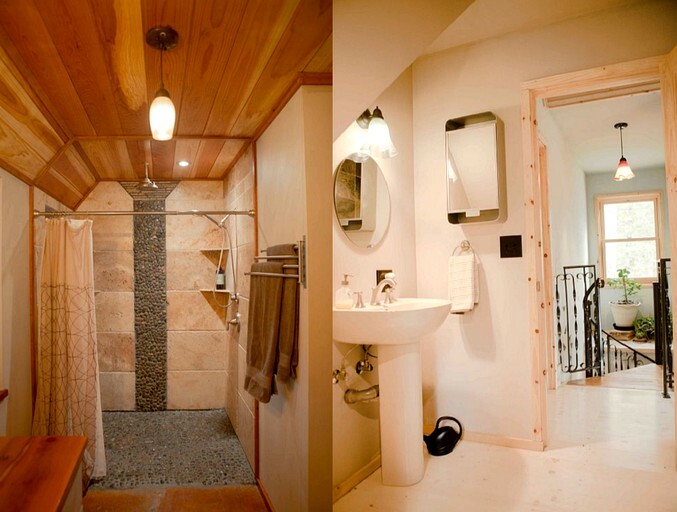 The lower level of the property is wheelchair accessible.